Here’s a bizarre story that you don’t hear everyday. 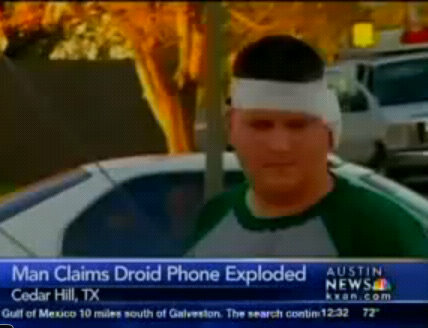 A man is claiming that his Motorola Android phone exploded while the phone was held up to his ear. The injury caused the man to have to get 4 stitches in his ear, but he claims no hearing loss noticeable at the moment. The same thing has happened with the iphone before. Many devices (high tech or not) have exploded in the past due to overheating.